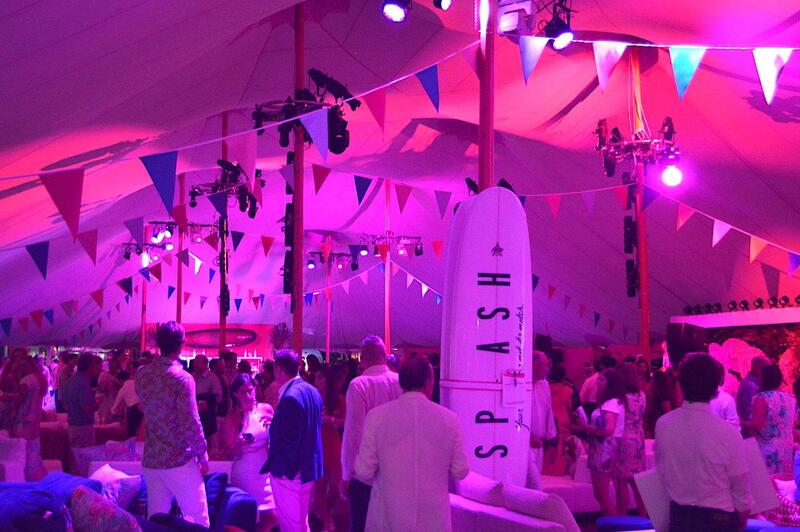 Paddle and Party for Pink held its annual fundraiser in the Hamptons on Saturday, starting bright and early at 8 a.m. with a paddle board race and ending with a casual evening rager underneath the night sky. 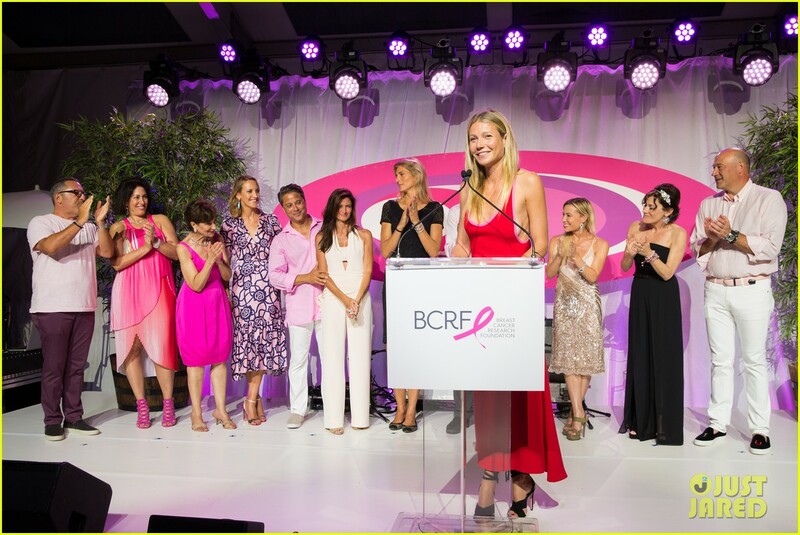 The party took place right on the water of Sag Harbor’s Havens Beach, and raised money — $1.4 million, to be exact — to benefit the Breast Cancer Research Foundation. Part of that figure came from a raucous auction in which a lunch with Gwyneth Paltrow sold for $55,000. So that’s the going rate for hang time with G.P. Guests hit the dance floor and dined on snacks from the food trucks surrounding the perimeter of the area — shirtless models circled the party holding a bright pink shotski, offering brave souls shots of espresso booze. Despite the good cheer and revelry, the story behind Paddle for Pink is a more serious one. Founder Maria Baum discovered paddle boarding was therapeutic and stress-relieving after she was diagnosed with breast cancer and underwent chemotherapy. “You start at whatever level and speed you’re comfortable with, and then you do a little more, and then a little more,” she said of her experience with the sport. “Some days you feel like you can’t, so you don’t. 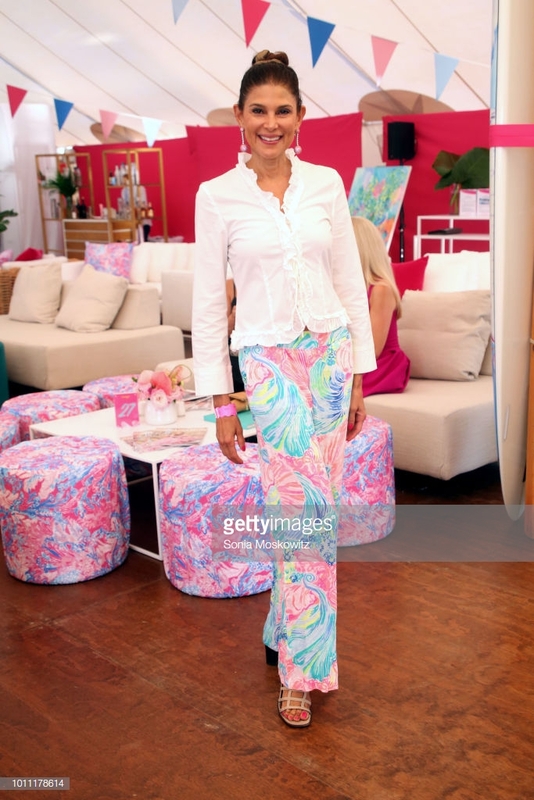 This year, Lilly Pulitzer came on as a lead sponsor of the event. Nearly all the guests — save a few city kids who didn’t switch up their usual all-black getups — were decked out in the bright pinks, yellows and neon oranges synonymous with the label. The brand decorated the cushion covers, poufs and bar in loud prints, and had a company print artist painting live at the entrance. Chief executive officer Michelle Kelly attended in a bright yellow, one-shoulder Lilly dress. She discussed upcoming projects for the company, which include two store openings in Newport Beach’s Fashion Island center and a shop in Palm Beach, Fla., on Worth Avenue. The bricks-and-mortar difficulties so many companies have experienced were not lost on Kelly, but she said the emotional connection customers have with Lilly Pulitzer brings consumers into the physical stores.